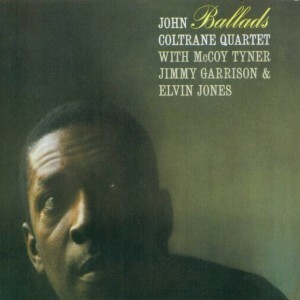 The John Coltrane Quartet album “Ballads” stands as one of Coltrane’s finest works. This album was Coltrane’s response to critics who thought he could no longer play beautifully. Not only did he prove them wrong, but he reestablished himself as one of the greatest ballad interpreters in jazz history. 2013 marks the 50th anniversary of “Ballads”. To celebrate, Jamieson will be arranging all the music from the CD for jazz philharmonic orchestra (symphony + big band). Tickets are now on sale for the first ever combined concert of the Danjam and Sneak Peak orchestras! The concert will feature Mike Ruby on tenor saxophone playing the role of the great John Coltrane, and will also feature John Riley (drums), Arlia de Ruiter (violin), Victor Cheng (piano), and Daniel Jamieson (conductor/arranger). Alex Dean will be your host for the evening. Click here for more information about the concert including how to purchase tickets! Click here for past Coltrane Ballads Project news!